The Plank is one of the most effective total body moves that strengthens your core, legs, and upper body. Plank can even help prevent injury! Risk factors of low back are thought to begin in school aged children and therefore research suggests it is “desirable for children and adolescents to perform moderate-to-high intensity dynamic core exercises during physical education warm-up to improve trunk and core muscular endurance.” Core stability exercises have been found to be more effective than general exercise in the prevention of low back pain. Winnacunnet winter sports teams competed against each other to win $500 for their Team! The team that averaged the longest plank took the prize! Congratulations go to the WHS Track and Wrestling teams who were each awarded $500 compliments of Hampton Physical Therapy! The overall winners received an annual membership to The Seacoast Sports Club. 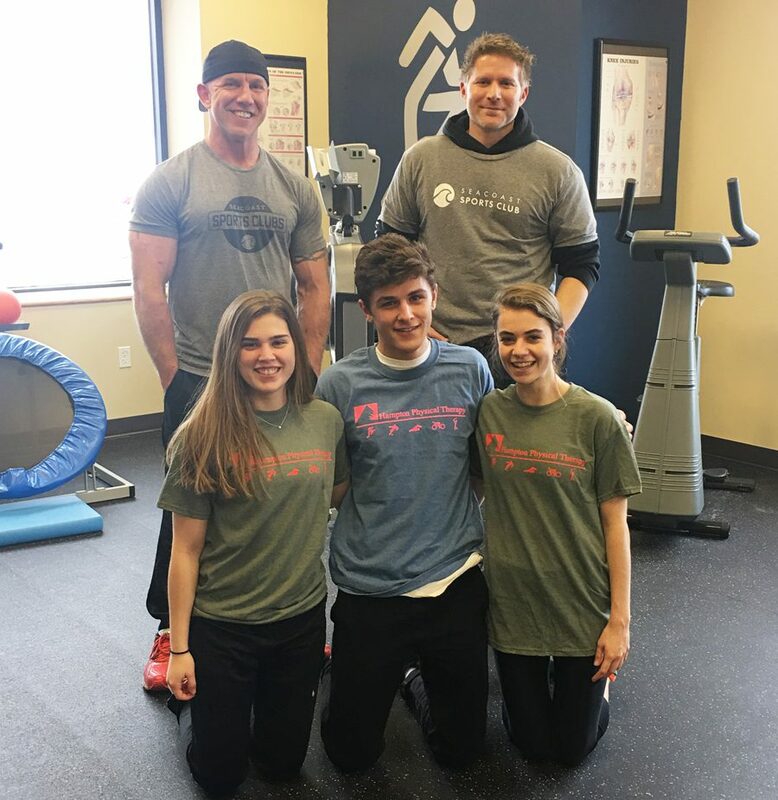 Hampton Physical Therapy was thrilled with the turnout and the friendly, competitive spirit shown by all participants and congratulates all the winners! 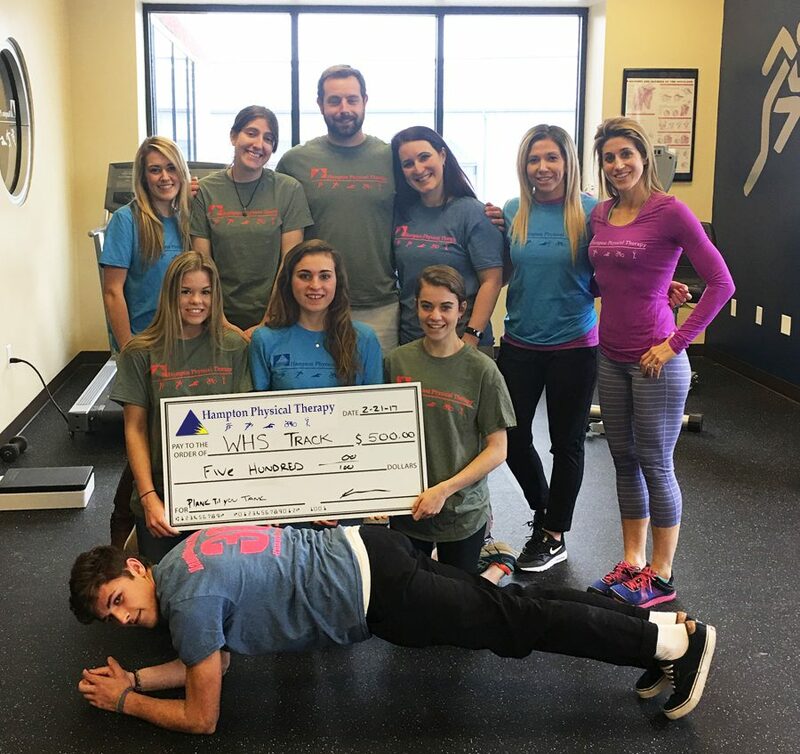 WHS Track Team was awarded $500 for the Hampton Physical Therapy PLANK TIL YOU TANK CHALLENGE. Back row left to right are HamptonPT staff members: Kayla Stundze, Tiffany Walton, Nate Wood, Lisa Wheldon, Becca Jones and Kate Serodio. Winning Track Team members front – left to right: Lauren Connolly, Krista Scibisz, Kelly Arsenault, and on ground is Matt Cooney. WHS Wrestling Team winners. Back row left to right are HamptonPT staff members: Kayla Stundze, Tiffany Walton, Nate Wood, Lisa Wheldon, Becca Jones and Kate Serodio. Wrestling Team Winners: (left to right) John Ferreli, Matt Cooney, Nick Routier, Tyler Mallet, and on the ground is Dylan Walsh. Thank You Seacoast Sports Club for awarding memberships to the winners! Winning Plankers received Annual Memberships to SEACOAST SPORTS CLUB! Front row winners (l to r) Lauren Connolly, Matt Cooney and Kelly Arsenault. Awarding the memberships to the winners are Seacoast Sports Club representatives Jay Eaton and Brian Helfrich.